We're happy to announce that our Email Notification System is officially live! It's a new and extremely powerful feature that will make you feel like you have an entire staff that monitors the news for you and sends summaries of everything that's crucial to you as a business professional -- all for free! 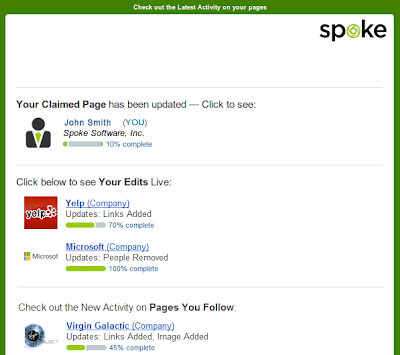 It's a look into our next-gen view of business information, keeping you alerted to important activity on Spoke. 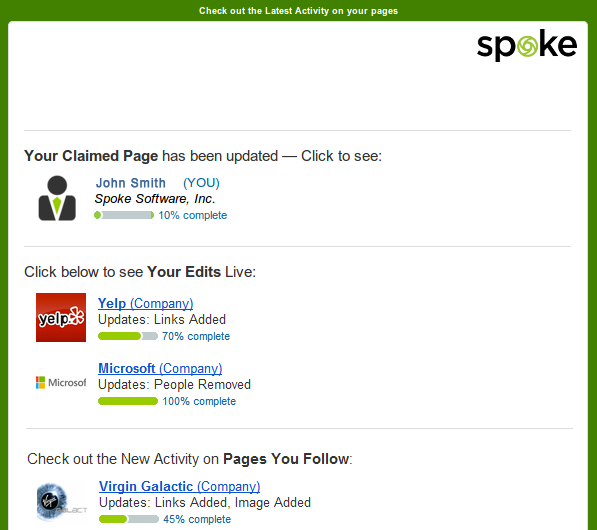 And you can easily modify the frequency by which we send these emails using your "Edit Account" page. So get excited, look out for our first email, and as always, don't hesitate to give us your (much-appreciated) feedback!